The 7th TEAM National Networking Conference was held on Friday 29th March 2019. It’s always a great annual event which this year was attended by over 400 members. The conference allows members to network, build new business relationships to enable collaborative working and to hear great industry professionals share their recruitment wisdom. The conference is also TEAM’s platform to recognise members who have shared great business and contributed to the network. 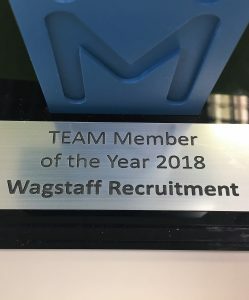 The 2018 award for TEAM Member of the Year was awarded to Wagstaff Recruitment and our Founder, Ruth Forster, accepted gratefully on behalf of the Wagstaff team. Wagstaff Recruitment have been a member of this great network of independent recruiters since 2011, almost from the very beginning of our journey. 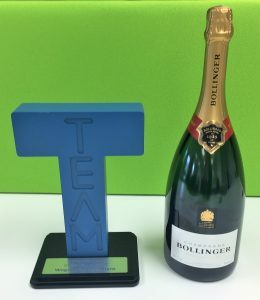 TEAM has created a recruitment network supporting business owners with best practice, legal and financial updates but their uniqueness is enabling recruiters to build trusted relationships resulting in shared business, ensuring everyone’s customers receive an exceptional service. Wagstaff are very proud to receive this award, our business would not be able to support our customers if it wasn’t for the TEAM network. 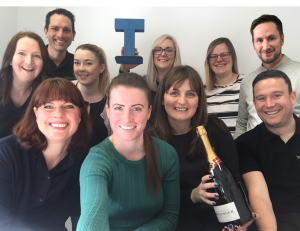 We feel privileged that we can work with recruitment industry professionals sharing business to deliver an excellent service, and we are honoured to be recognised for being collaborative recruiters. 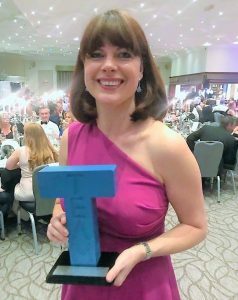 Now we just need to plan a TEAM celebratory night out!